While for many of us, a daily makeup routine involves layers of contouring, mascara, and a smoky eye, for one celeb her morning routine is a little more low-key. 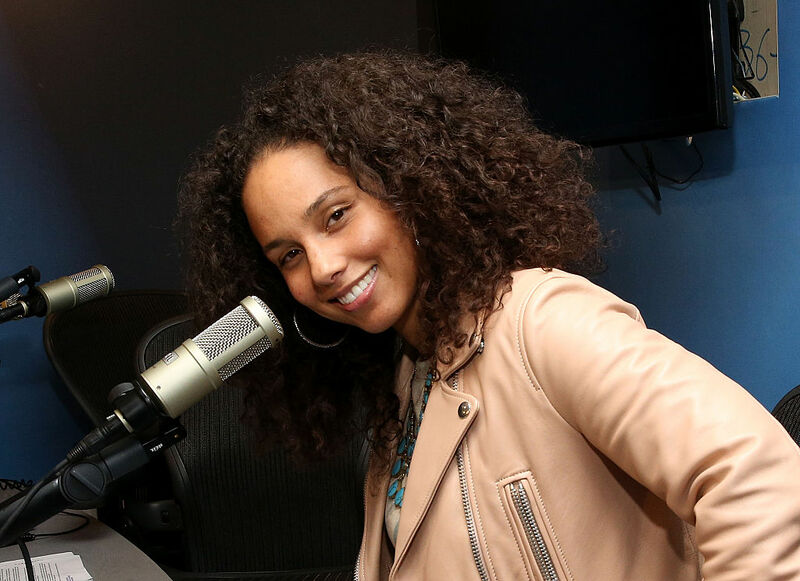 However, singer and superstar Alicia Keys has been rocking a no makeup look for about the past year, and we think that’s fabulous. This month, Alicia is on the cover of Allure Magazine, and she opened up about her decision to go makeup free. Naturally, Alicia’s decision to buck makeup trends inspired us. Not just because her face looks fabulous no matter what she does to it, but because she was staking out some territory as her own person. And we totally respect that. 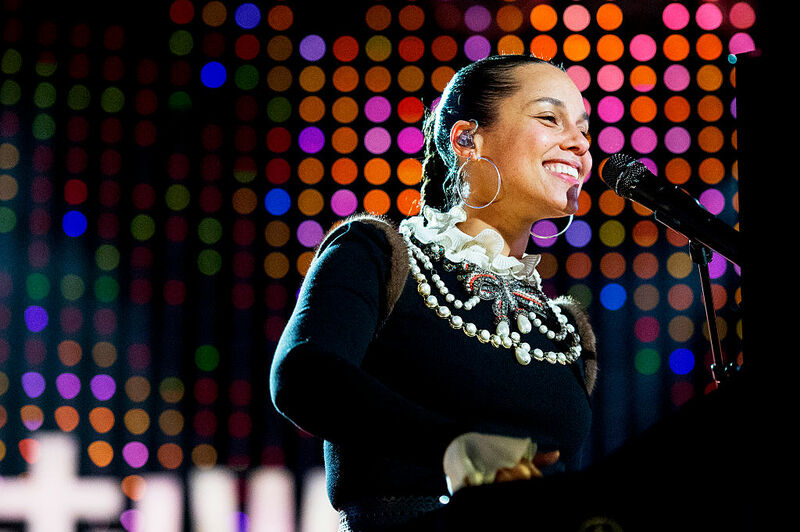 Alicia Keys graces the cover of Allure Magazine this month, and she looks SO incredibly happy. We can’t wait to see her smile light up the newsstands in February. In fact, we were so distracted by her megawatt smile, that we forgot that she isn’t wearing makeup for a magazine cover. Or if she is, it’s very minimal. As part of her photo shoot, Alicia did don some dramatic eye makeup for some of the photos, although her skin still looks flawlessly natural. When they discussed her choice to rock some fabulous fuchsia eyeshadow or line her eyes with electric teal, Alicia reminds us that her makeup choice isn’t all about NO makeup. It’s about wearing what you want. Alicia said, "I am all about a woman’s right to choose. 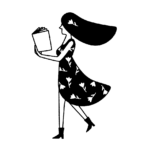 I think a woman should do anything she wants as it relates to her face, her body, her health. Whatever mode of expression that empowers you, that’s what you should do. What I am not down for is this ridiculously high, unrealistic expectation about appearance that we as women are held to." Those are empowering words, and we could all use a little of Alicia’s independent spirit to do what makes us feel good. While makeup free might not be the choice for everyone, Alicia just wants to remind us that it’s an option. Even on a stage in front of thousands. Even on the cover of a national magazine. And her new freedom has deeply inspired her new album, Here. She told Allure, "It’s because I’m finally here; I’m finally present. In my own skin, being able to look in the mirror, and seeing how that reflects the world I live in, the world we all live in. We’re all here. We’re all somewhere here. And how do we meet each other? We have to be in each other’s shoes a little bit more! It’s personal but also universal." We can firmly say that we are HERE for all of that. 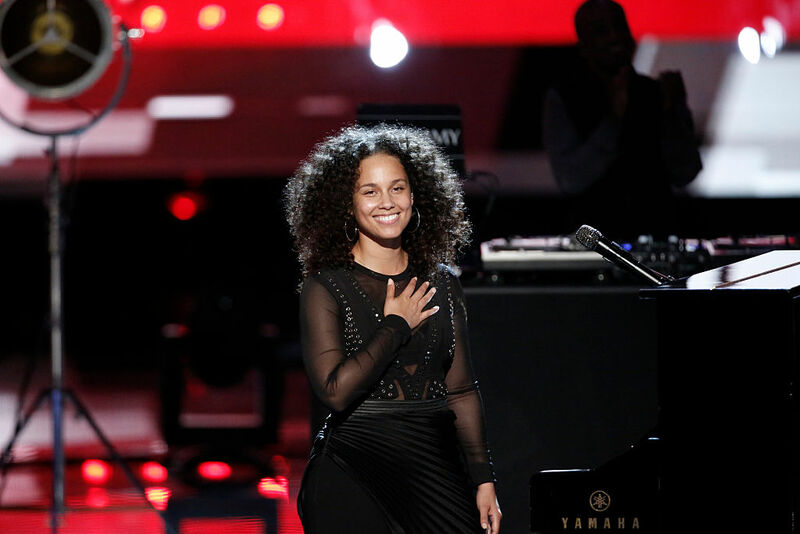 We want to see more openness and inclusion, and more women expressing themselves with the passion and vulnerability of the incomparable Alicia Keys!